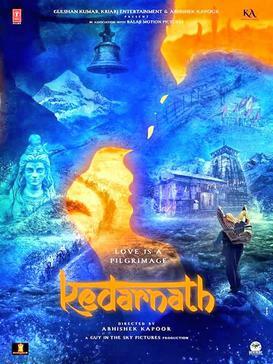 Kedarnath is an upcoming film, directed and co-produced by Abhishek Kapoor. Sushant Singh Rajput and Sara Ali Khan are playing the main lead role. Sara Ali Khan is the daughter of famous actor Saif Ali Khan and Amrita Singh. She is going to debut in Bollywood film industry by this movie. The film is scheduled to release on 21 December 2018 and set to be the clash with Shah Rukh Khan's Zero. Here We sharing first look, poster and images of Kedarnath movie and also share song looks and images of Sara Ali Khan. She is really looking stunning in this pictures.